What is We Heart Canada? To kick off celebrating Canada’s 150th Anniversary, Vancouver Asian Film Festival (VAFF) is partnering with City of Vancouver (COV) and Vancouver Immigration Partnership (VIP) to launch “We Heart Canada” video project which offers audiences an intimate look at Vancouver’s diversity story of how and why do you love Canada. Over the past 20 years, VAFF has shared with its audience hundreds of films featuring the impact of Canada’s cross-cultural diversity, including multiculturalism’s unique influence right here in Vancouver. The VAFF 2017 theme VISUAL LANDSCAPES celebrates our historical and contemporary experience of cultural and geographical place in the landscape of Canada, tying into the national celebration of Canada 150. VAFF is proud to have grown together with Vancouver’s changing community. What does it mean to truly belong to the communities in which we live? How has the process of migration shaped social and cultural identity? 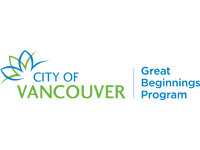 Both City of Vancouver and Vancouver Immigration Partnership is interested in capturing stories of resilience, courage, joy and transformation from immigrant and refugee youth. The “We Heart Canada” film projects offers immigrant and refugee youth the opportunity to shape their narrative and contribute to the discourse about belonging and cultural identity in our city. Through the project, young people will work with diverse teams of film makers to share the immigrant and refugee youth perspectives, and their stories showcased at the annual 21st VAFF film festival. This campaign will consist of two projects: Project I: a curated short film series and Project II: a movie making competition. Watch the “We Heart Canada” curated short videos.